The annual Degree Show at the Wolverhampton University School of Art is a showcase for up-and-coming talent and an opportunity for family, friends, the general public and prospective buyers to help launch the newly graduated artists on what is hopefully a successful career in the arts’ world. However, the students do have a wide range of ages and experience which is reflected in the quality of the work on display. A large Impressionist-style painting by Richard Opoku tries to capture the spirit of the War of the Golden Stool. In the early 20th Century the British were in the process of colonising west Africa. The Golden Stool was an important cultural symbol for the Ashanti tribe in what is today Ghana. The British demanded that the stool was handed over, the Ashanti refused and a period of conflict followed, but the Stool remained hidden until 1920. Given the historical significance of those events the picture, though strikingly coloured, could perhaps have provided more in the way of narrative context. The winner of the Wolverhampton Art Gallery Prize was Bethany Dugmore who creates realistic, life-sized body parts in clay. Although she is not the first artist to produce anatomical replicas she does put them into some intriguing situations. 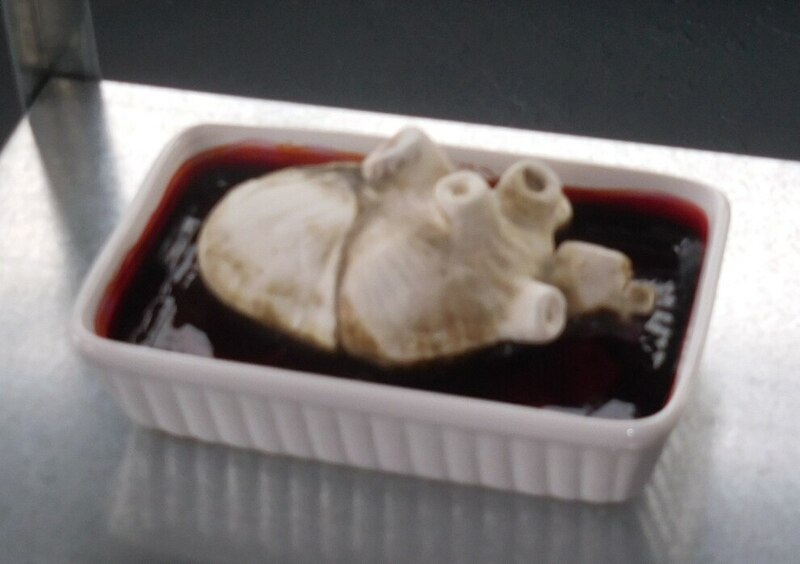 So there is a heart in a jar which would not look out of place in an anthropological museum and another in a dish of blood-red liquid which looks as though it has just been through a post-mortem examination. Her work induces a morbid curiosity from the viewer and all the more striking for that. Charlene Williams has installed a half-filled bath, strewn with rose petals and adorned with candles, as well as a glass of red wine. It represents the therapeutic qualities of a relaxing soak, but also suggests the stigma of mental illness. Is the warm bath a symbol of survival or giving up? Sophie Middleton gains a recommendation from Wolverhampton Art Gallery for her glass and stone construction which is obviously inspired by church architecture. 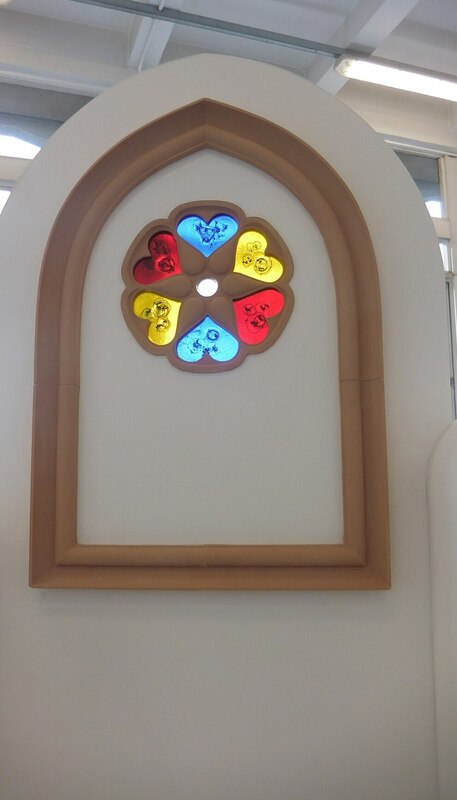 It represents a window in the classic early Gothic Lancet shape and has a crispness and elegance which shows just how striking these buildings were when first built and not mellowed by a thousand years of history. 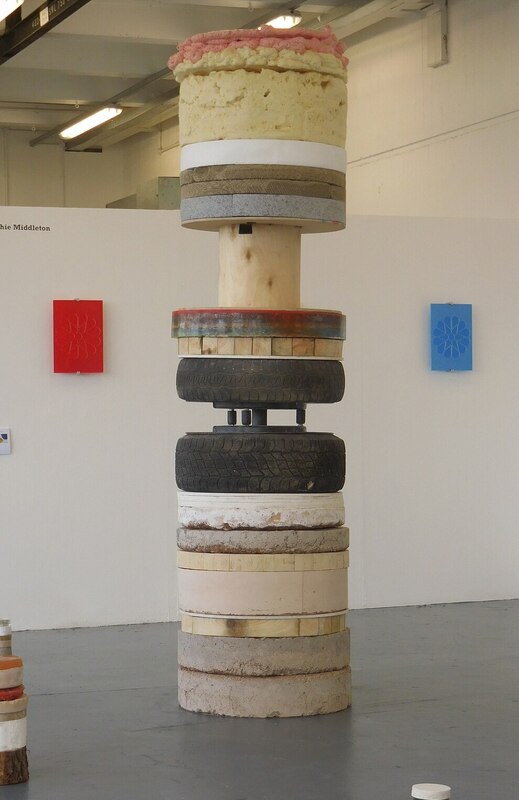 The Wolverhampton School of Art sculpture prize has gone to Hayley Mcnally for her mixed media work Urban Heights which is made of a variety of materials to be found in an urban environment. The show features artwork from over 300 students across 16 BA (Hons) and BDes (Hons) courses embracing the areas of applied arts, digital media, fashion and textiles, fine art, graphic communication, illustration, interior design, photography and product design. The Degree Show runs Monday-Saturday until Wednesday 21st June.